When my brother, who lives in Nevada, decided to sell his Sun City Lincoln Hills home he asked me to suggest an agent. I recommended Holly Stryker and Jill Mallory because of the ringing endorsements I heard from people who had worked with them. Everything I saw about their work with my brother validated my choice. Jill visited my brother at his home in Nevada to get his signature on the sales contract, saving him a trip to Lincoln. They arranged for all the furniture in the house to be hauled away by a charity and they engaged a talented woman to stage the house. They hired a painter to do the exterior of the house, taking complete charge of the HOA approval process. The house looked wonderful when it was shown, resulting in multiple offers that first weekend. In the end my brother got more than the asking price and he only had to travel to Lincoln once, to sign the paperwork accepting the offer. The final closing papers were again signed at his Nevada home. 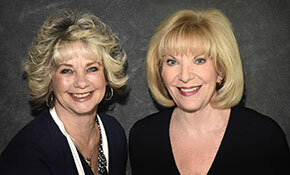 I recommend these two remarkable salespeople to anyone who needs real estate services. "When my brother, who lives in Nevada, decided to sell his Sun City Lincoln Hills home he asked me to suggest an agent. I recommended Holly Stryker and... continued"
When two successful, top producing agents join forces, the result is a win-win for their clients. Jill & Holly’s approach is one that’s built on unrivaled personal attention, thoughtful guidance, positive results and delighted clients.